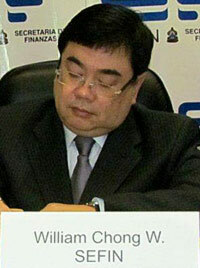 Finance Minister William Chong Wong resigned yesterday. Speculation is that it most likely is due to the IMF Press Release last week, wherein it outlined that Honduras didn’t reach its 2011 International Monetary Fund (IMF) goals. President Porfirio Lobo accepted William Chong Wong’s resignation, and is expected to announce Honduras’s new Finance Minister tomorrow. Honduras is still negotiating a new agreement with the IMF.